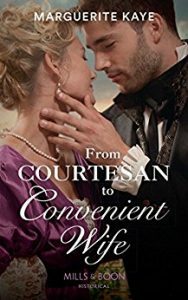 Today I’m celebrating the release of FROM COURTESAN TO CONVENIENT WIFE, which is out now in print and digital, in the US, UK and Canada. This is the second book in the MATCHES MADE IN SCANDAL quartet which features four seriously down on their luck heroines who are given the opportunity to earn a much-needed second chance by a mysterious character I’ve called The Procurer (and whose story I’m currently writing, in the last book in the series). My heroine Sophia has a tragic back story which forced her to sell the only asset she had – herself. Having done so, then ‘retired’ when the driving reason for her becoming a courtesan no longer existed, at the start of the book she is struggling to survive in the twilight world of the ‘fallen’ woman, shunned by respectable society, determined not to return to her old life, but singularly ill-equipped to earn her own living. 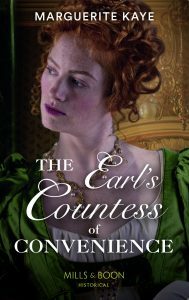 It’s an irony that has often struck me, writing Regency heroines, how few options the ‘better off’ females had, and how incredibly difficult it would have been for them to live independent of relatives or a husband, unless they had an inheritance. Sophia is determined to do just that, though until The Procurer comes along, she has no idea how! Enter Jean-Luc, a self-made man confronted with a legal claim which threatens to overturn all he’s ever believed of himself and his history, and to land him with a wife he doesn’t want into the bargain. Sophia is the solution to one half of his problems – the wife he will claim he already has, while he disproves what he strongly believes are the counterfeit claims of the other woman, and resolves the mystery of his birth. Intrigued? I hope so. 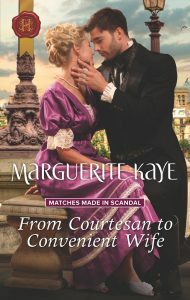 FROM COURTESAN TO CONVENIENT WIFE is set in Paris. 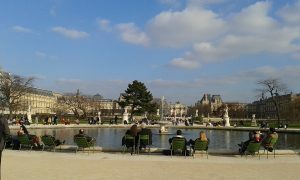 Earlier this week I was talking about some of my favourite Paris picnic spots and recreating a walk that Jean-Luc and Sophia took, with lots of my own favourite pictures, and there’s been tons more pictures and quotes from the book over on my Facebook page. I know people have a love/hate relationship with the City of Light, but it is my favourite city in the world, so I make no apologies for the deluge – and I do hope you’ve enjoyed sharing it with me. So, on to the celebrations for release day. Two runners up will each receive a signed copy of FROM COURTESAN TO CONVENIENT WIFE. 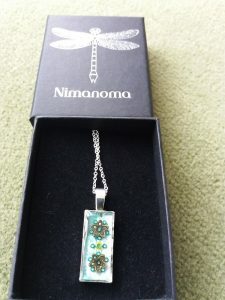 The winner will receive this beautiful necklace from Nimanoma, an artist who uses her background in biology to create jewellery inspired by nature, as well as a signed copy of the book. All you have to do to enter is to tell me whether you love or hate Paris, and why! I will announce the winners here on Friday, 6th April. Good luck. 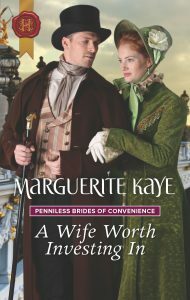 This entry was posted in Book News and tagged From Courtesan to Convenient Wife, Giveaway, Matches Made in Scandal. Bookmark the permalink. I have never been to Paris but everything tells me I would love it. You would, you would. I hope you get there. Yes, of course I wrote it for you!!! I have not had the opportunity to go to Paris, people tell me I should go, I would love it. Take a look at some of my pictures and favourite spots in the previous two posts and see what you think Jean. I’m so biased I think everyone will love it. I’ve been to Paris once. I wasn’t looking forward to it – perhaps influenced by my dislike of french class in school. But I loved it & would enjoy going back & spending more time there. I hated French too. I remember they told us to summon a waiter by calling ‘garcon!’ Luckily someone put me straight before I attempted that one. We drove from England to Italy, (via Ferry) and stopped for a few hours to rest up in Paris. I loved what I saw of it, and intend to go back one day and spend more time there. And there is so much of it to choose from too! I honestly have never been to Paris, but I would like to visit it one day. I think it’s a beautiful city. So I really think I love her. I do hope you get to visit, it is truly beautiful, and so full of history. But maybe my book will take you there in the meantime! I am decorating in the theme of a country style of paris…. So I hope I like it! But, alas I have never been and probable will never have the chance to go! I do hope you get there, I just know it will live up to your expectations. i know it sure will. I’ve been to Paris 3 times over the course of my life starting when I was 16. The second time is when I fell in love with Paris despite it being one of the worst Januarys they ever had and 6 inches of snow plus all transit being on strike forcing me to walk everywhere. The third time, I went with Burt Wolf of PBS fame on a cruise down the Rhone River starting in Paris! It’s a beautiful and interesting city. I’ve never been to Paris but being French, it’s a city I would love to visit!! I’ve just heard so much about Paris and seen so many pictures, I know it’s a place I would adore. I have never been to Paris, but what’s not to love about the Louvre? Even the controversial glass pyramid? One of the most romantic moments I’ve had there was sitting in the courtyard at the Louve in the dark, stars above, someone playing a violin, I could see the Venus de Milo through the window, and I had a bottle of bubbly with me – and my lovely man too. Never been to Paris but my family is Hispanic and originally from Spain and Puerto Rico so its like kissing cousins. I’d love to travel there and not just to see the Eiffel Tower either… The Louvre and Seine are more my tops! I think Paris would be a fascinating city to visit.I would like to see The Louvre, The Eiffel Tower, Notre Dame, shop, try out the bakeries and walk along the Avenue des Champs-Élysées and along the Seine River. I liked the movie Moulin Rouge. I would like to see the Folies Bergere. I have never been to Paris but I would love to go. I hope you get to go there sometime. There’s loads of pics from some of my Paris trips in the two previous posts on picnics and a walk Rosemary, you could travel there vicariously right now! I was in Paris in 1984. Although the French were very rude I had a blast! Went to the Louvre. Walked the stairs to the top of the Notre – Dame, met Cyndi Lauper at a concert she held in a theater, bought a killer pair of pointy toed, cheetah print, pony hair flats, and ate lots of really good food! I am drooling over your description of the shoes, and of meeting Cyndi Lauper, style goddess. It’s funny how many people comment on the rudeness of the French, I don’t know if it’s more that they are simply more aloof or whether they like to look down their noses at non-French people. I’ve experienced it a little, mostly from waiters, but like you I don’t let it get in the way. Me and my husband went to Paris in June 2015 for our honeymoon and we loved it! We went to the famous Eiffel Tower, River Seine, Notre Dame and many other sights! It was as beautiful as we had imagined and although we thought that the language would be a problem, most of the people we asked spoke good English and were quite friendly! It’s definitely a beautiful city worth visiting! How romantic. I’ve been visiting Paris for a scary number of years, and I have noticed a big change in the number of French people who speak English. Waiters especially have a terrible reputation for ignoring anyone not speaking French, but a few simple words make all the difference, I have always found. Love to see Paris in person. I’ve heard lots of good things about that book. FROM COURTESAN TO CONVENIENT WIFE is set about 70 years earlier, so no Eiffel Tower or Exposition, but hopefully lots of other lovely Paris sights to ‘see’ if you read it. I’d love to visit Paris, climb the Eiffel Tower, see all the touristy sights, & eat my way around the city. LOL! Eating your way around the city is the BESt way to see it! I’ve never been to Paris, and I don’t really have any plans to. I guess I’m more of a small village mouse. As lovely as I’m sure it is, cities are far too touristy and peoply for me I’m afraid. Well hopefully you will feel as if you’ve visited it, without all the crowds, when you read Jean-Luc and Sophia’s story, Manda. I visited Paris awhile back and loved it. In one word, I described it as CIRCUS. There is so much to see and do there-all the tourist attractions as well as the sidewalk cafes, the bridges, the statues. I loved walking by the Seine, viewing the artists work, and the street musicians. It is a city that should be on everyones’ bucket list. What a brilliant description. You’re right, it’s the ultimate people-watchng place, and the perfect place just to sit with a coffee or a glass of something and watch the performance. All these lovely descriptions are making me want to jump on a plane right now. I spent a week in Paris and loved it! My only complaint was that wasn’t enough time! I love reading stories set in Paris as they allow me to revisit the city! There is never enough time in Paris, in my view. One of my biggest mistakes ever was to go on a day trip. My sister had to drag me back onto the Eurostar.